Robert Reinhardt, VP of [the MAKERS], is internationally regarded as an expert on multimedia application development and online video, particularly in HTML, iOS, Flash and AVC/H.264. Robert has served as an online video expert for award-winning sites such as abc.com's first Full Episode Streaming site and Nike SB's skateboarding documentary, Debacle. Selling over 200,000 copies worldwide in over 13 languages, Robert's books include the first seven editions of the Flash Bible (Wiley), as well as Video with Adobe Flash CS4 Professional Studio Techniques (Adobe Press). Robert has also developed multimedia training for higher education and Fortune 100 companies. Robert's latest project, videoRx.com, enables high quality video encoding for optimized online deployment and specializes in adaptive streaming for mobile and desktop. 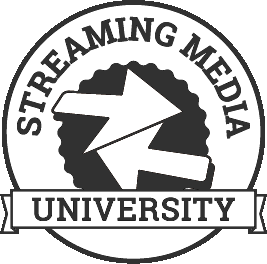 Watch all of Robert Reinhardt's past Streaming Media presentations and interviews on the Streaming Media Conference Video Portal.